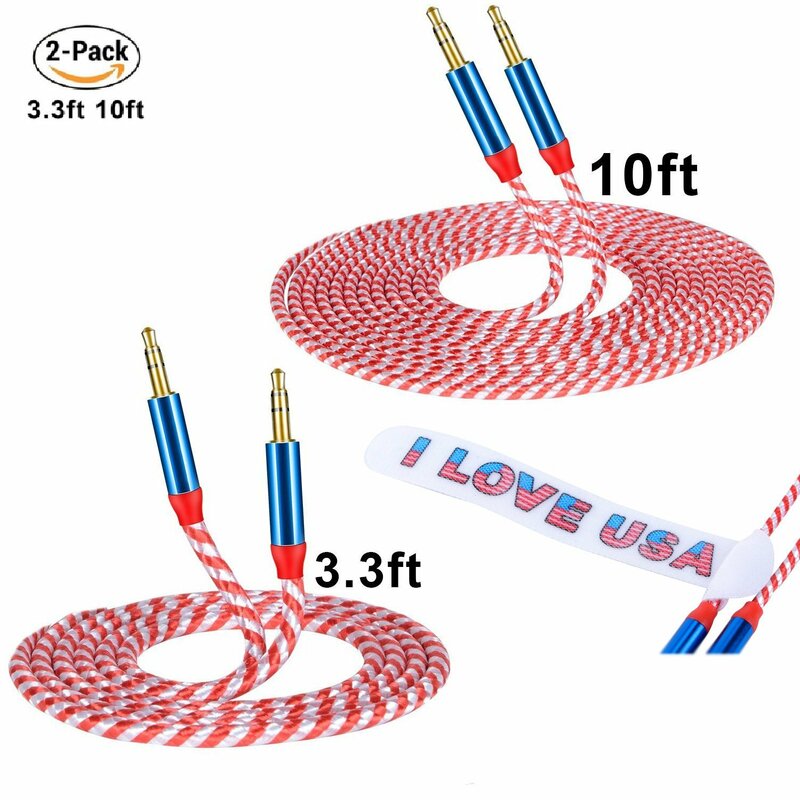 CSHope Stereo Cable 2 Pack AUX Audio Cables comes with 2 braided nylon cables. One cable is 1 meter (3,3 feet) long. The second cable 3 meters (10 feet) long. Both cables have 24k gold plated 3.5mm male to 3.5mm male connectors. 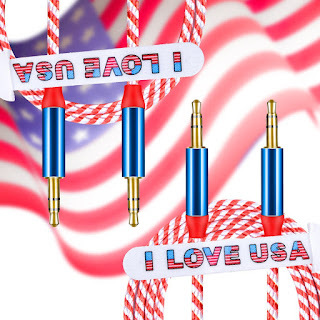 The red, white and blue colors of this tangle resistant braided audio cable add a patriotic look to these professional quality auxiliary cables. The gold plated jacks provide a quality connection to ensure great sound. I tested these cables with a variety of devices and gadgets including a couple of smartphones, headphones, a tablet, an mp3 player, and a variety of speakers. The cables are universally compatible with virtually and device with a speaker jack. The price is good, especially for quality cables such as these. They worked well through all of the devices I tried using them with.